Last summer our family decided that we would be year-round homeschoolers. The biggest reason for this was because long breaks make for a pretty big struggle getting back into routine; this seems to be a problem with public school students as well, I am just glad that I am able to have a solution to that problem that works! So, instead of taking a long summer break; we take several more frequent breaks. On top of that we honestly don’t even do the two week holiday break that the public schools here do, we take about a week. My boys struggle if they do not have structure and I don’t like breaking that for too long because I feel so defeated when it takes us a week or more just to get back into our groove. 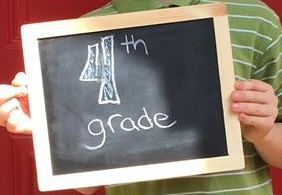 With that said, we have begun 1st and 4th grade this week! 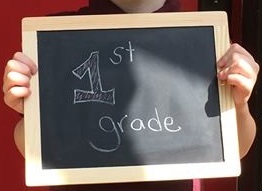 We have also changed our curriculum this year (after several years of using the same company.) We used My Father’s World prior to this year and while I loved it for K-2nd, I wasn’t really loving it for 3rd grade and about halfway into the year I knew that I wanted to finish it up and look for something else. This year we are trying Lifepac for most of the subjects and some various programs and texts for the rest. This is only our second day but I am loving it already, we have never had our school day run this smoothly! The biggest change was that our old curriculum was all inclusive and the lesson planning was basically done for you; this time it was up to me and I must admit at first I was a little nervous but it really wasn’t that bad and it was actually kind of fun! I look forward to reviewing the curriculum later on as well as sharing some of our projects with you! While I am fairly private and will not be sharing photos of my sons with you, I thought I’d include a teaser from the at home photo shoot we did yesterday. We take first day of school photos every year and I must say, in our beautiful new forest (yard) these were the best yet!